As soon as the snow melts, it isn’t long before Montreal cyclists take over the city and traverse the streets as if winter had never struck. 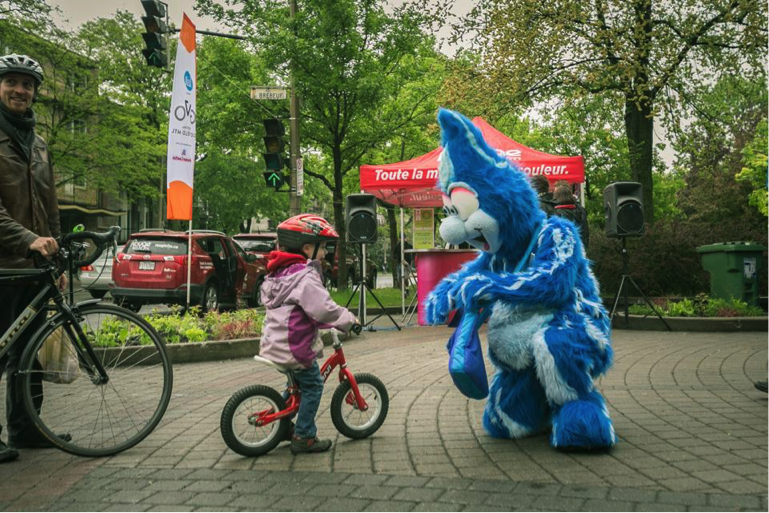 To celebrate and encourage this mode of transportation, every year at the end of May, Montreal kicks off its festival season with Go Bike Montreal. An entire week of activities is dedicated to this festival, where everyone is encouraged to take part and cycle! Events include the Metropolitan Challenge, Tour la Nuit, Tour de l’Île de Montréal and Operation Bike-to-Work. This challenge is designed to push participants to their limits. Approximately 3,000 people take part in the event every year, talk about a load of cyclists! It’s all in good fun as there is no stopwatch or podium. Everyone is a winner by getting on their bikes and going for the ride. This year, the route begins in Chateauguay and passes through Saint-Urbain-Premier, Howick and Ormsown. The event begins between 7 a.m. and 10 a.m. depending on the route you choose to take: 75, 100, 125 or 150km if you’re looking for a real challenge. Stop off at to enjoy lunch on your way and take advantage of the refill stations along the way to keep hydrated! Whoever said biking was only a daytime activity? The Tour La Nuit event is truly special, with more than 17,000 participants cycling through the streets under the night sky. Imagine the beauty of thousands of costumed cyclists pedalling 21 kilometers, with the stars above them and the city lights guiding them through the night. The event starts at Parc Avenue at 8:15 pm and finishes at Jeanne-Mance Park. 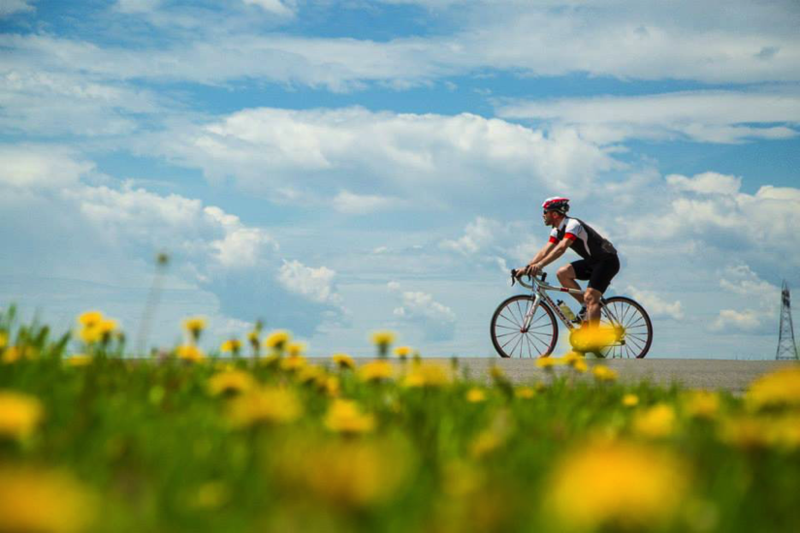 There’s something for everyone when it comes to the Tour de l’ile de Montreal, with five different routes to choose from, wether you just want to take an easy breezy bike ride with your family or challenge yourself like never before. For a shorter distance, ride the classic 50 or 28 km of car-free streets. If you like to live in the fast lane, try the 50 km express, an accelerated version where cyclists travel at 30 km/h for 1 ½ hours on closed-off downtown streets. If you are up for something that will test your endurance a bit more, take part in the 65 – 100 km Découverte. This route is beautiful and allows cyclists to enjoy Montreals shoreline. The beginning of the route takes place on streets open to motorists and the last 25 km is enjoyed on a car-free route. Regarless of which path you choose, there are always designated resting spots along the way where you can take a break, grab a snack and recharge. 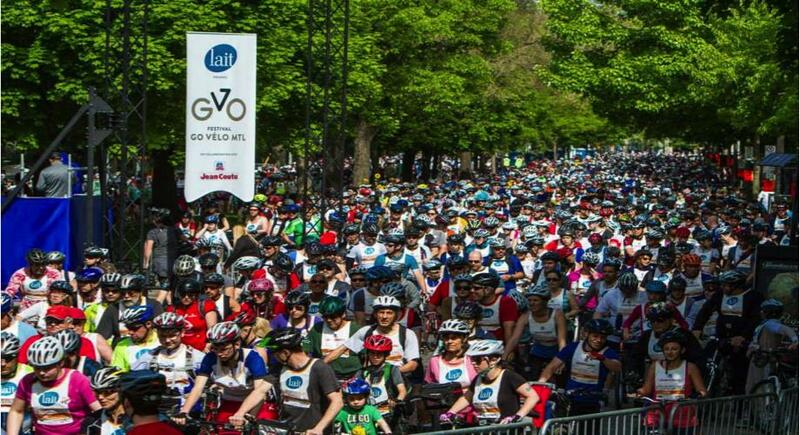 Not only does the Go Bike Montreal festival host cycling activities, but it is also a week that encourages people to bike to work on the daily, as a healthy and ecological way of commuting! Yes, there are already thousands of people who bike to work, so why not motivate more to hop on their bikes and join the movement? From May 25th to May 31st, there’s numerous activities set up to help inform people on safety precautions and regulations when it comes to biking in the city, in addition to free bike tune ups and bicycle-friendly entertainment. Don’t miss out on all the fun!